Hij zit hier al dagen in de player en verveeld nog geen seconde. Het mooie van de bootlegseries, dit is alweer deel acht, dat de songs allemaal weer net even anders klinken. Mississippi staat er b.v in twee totaal verschillende versies op. Ik vindTell Tale Signs een mooi overzicht van de laatste twintig jaar van Dylans carrière . zijn,zoals gewoonlijk, allemaal even sterk. Ook leuk om toch weer net wat andere versies op te zoeken. ...Tell Tale Signs is less an anthology than an album in its own right. It seems designed to tell a story that sharpens and expands the vista of mortal and cultural disintegration that has been the chief theme of 1997's Time Out of Mind, 2001's Love and Theft, and 2006's Modern Times - perhaps the most daring music he's ever made. Tell Tale Signs makes plain that Dylan knows the caprices of the world he lives in, now more than ever. Bob Dylan's latest collection of material from his musical back pages, "Tell Tale Signs: The Bootleg Series Vol. 8," is a rich, revealing look at how this master songwriter put together one of the most dramatic creative renaissances in pop history...."Tell Tale Signs" is not just "extra" Dylan. It's essential Dylan. There's stuff here that leaves the listener wondering: why have we never heard this before? What possessed him, for instance, to excise Red River Shore from his Time Out of Mind album? It's a haunting classic. Ditto the wistful Born in Time (from the Oh Mercy sessions)...what's captured here is the restless, questing creative spirit of the man. He never stops. If you love the trilogy of Time Out Of Mind, Love And Theft and Modern Times you're going to adore this. It lays bare the process that led Dylan to not only revisit the work that got him fired up in the first place but remake them in his own image: the Carter Family (Tell Ol' Bill) amongst many others...As a companion to his best work from the period this is essential. It even stands as a fine album on its own—the work of a man obviously in love with his muse once more, and totally unafraid of fessin' up to his roots. Beautiful, brave and beguiling. ROLLING STONE: "...Tell Tale Signs is less an anthology than an album in its own right. It seems designed to tell a story that sharpens and expands the vista of mortal and cultural disintegration that has been the chief theme of 1997's Time Out of Mind, 2001's 'Love and Theft', and 2006's Modern Times - perhaps the most daring music he's ever made. 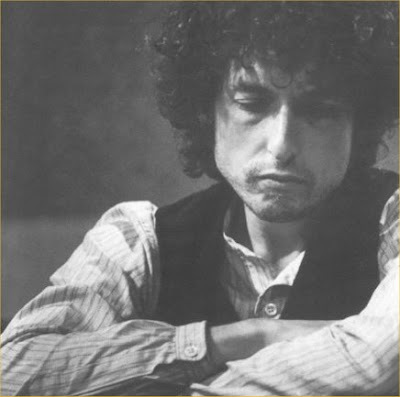 Tell Tale Signs makes plain that Dylan knows the caprices of the world he lives in, now more than ever." SAN FRANCISCO CHRONICLE: "...there had never been anything quite like Bob Dylan in the 1960s, and there's nothing quite like him today." Jason Isbell & The 400 Unit - Decoration Day from Aart van Hoften on Vimeo. Title track from The Drive By Truckers album Decoration Day. As is the Truckers' trademark, a number of Decoration Day's songs deal with elements of southern folklore. The title track, written by guitarist Jason Isbell, tells "a story that's rumored to be true" of two families involved in a passionate intergenerational feud which has gone on so long that few can remember why such hatred exists between them. 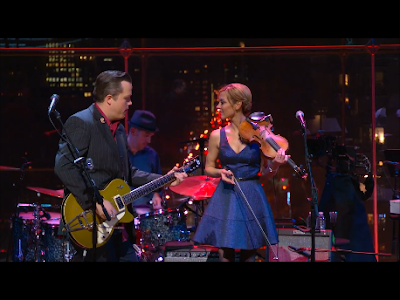 Isbell wrote the song just three days after joining the band while touring in support of Southern Rock Opera.